BarCountry’s premium dehydrated cocktail mixers have all the ingredients you need to recreate your favourite cocktails in the great outdoors: All you need to add is some water and your favourite liquor. 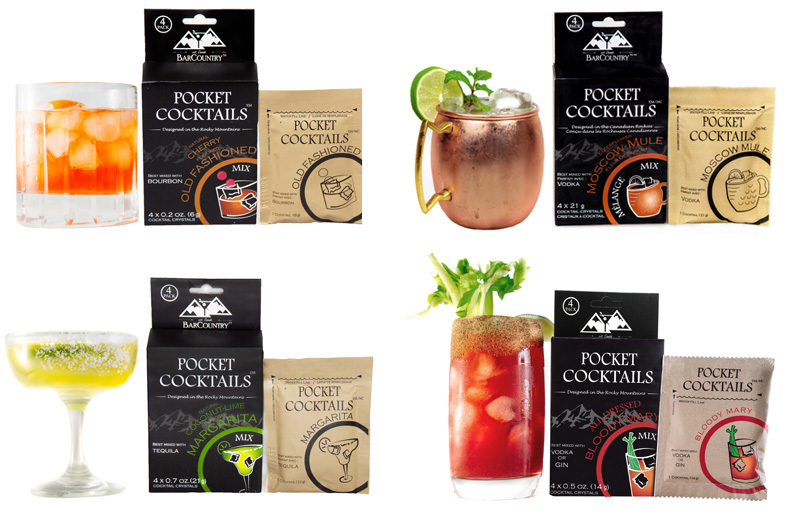 Unlike beer and wine, pocket cocktails are light and portable, making it easy to get a great drink whether you’re camping at a festival or trekking up a mountain. Whether you’re in the backcountry or in your back yard, BarCountry is your reward for chasing the adventure.